"The evacuations, at least 10,000, followed the progression of the fire. It's an area that doubles or triples its population in summer," a fire service official told AFP near the Bormes-les-Mimosas commune in the Provence-Alpes-Côte d'Azur region of southeast France. At least 3,000 of those evacuated were holidaymakers, the official added. “All of France is mobilized,” the head of the fire service in southeast France, Colonel Gregory Allione, told France Info. 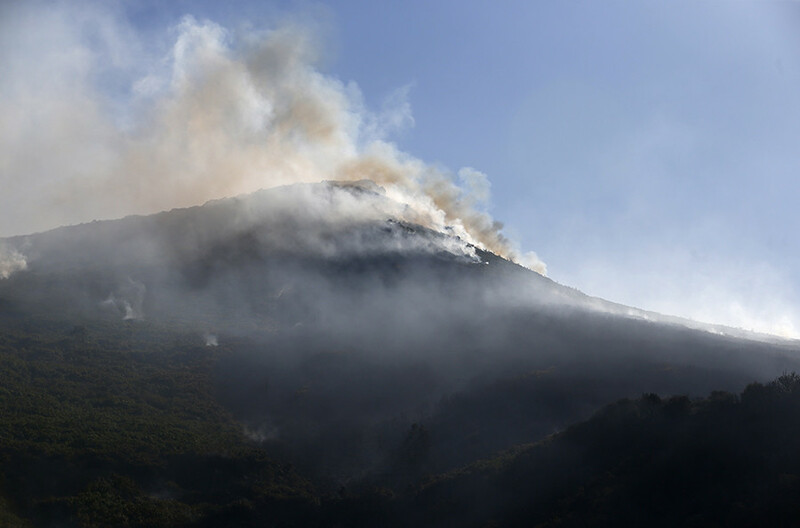 On Tuesday, 23 water bombers, including 12 Canadair planes, and 11 helicopters were mobilized to battle the fires, the Interior Ministry wrote on Twitter. Some 4,000 firefighters were deployed across the country, Interior Minister Gérard Collomb said. About 20 firefighters and police officers were injured while battling the flames, according to reports in local media. 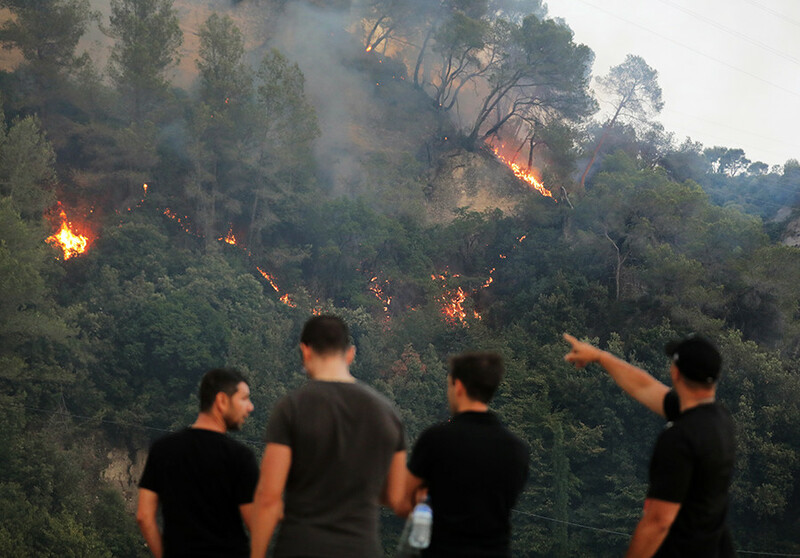 A fire in La Croix-Valmer, an affluent and popular Saint-Tropez resort, destroyed 500 hectares of land, as cited by France Bleu newspaper. “It's an ecological catastrophe. It's a disaster area. There's nothing left,” La Croix-Valmer's deputy mayor, Rene Carandante, said when describing the scene. Charles Scibetta, mayor of the town of Carros, near the resort city of Nice, told France Info that the town now resembles a "lunar landscape." 24/07 20h #Feu#Var#Incendie en cours #LaCroixValmer, les mas de Gigaro. 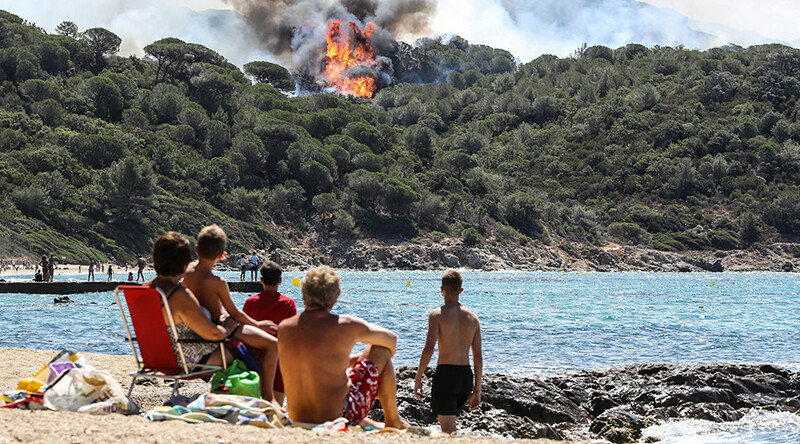 The island of Corsica in the Mediterranean Sea was also engulfed by the blaze, with one resident describing to AFP the “apocalyptic” scenes. 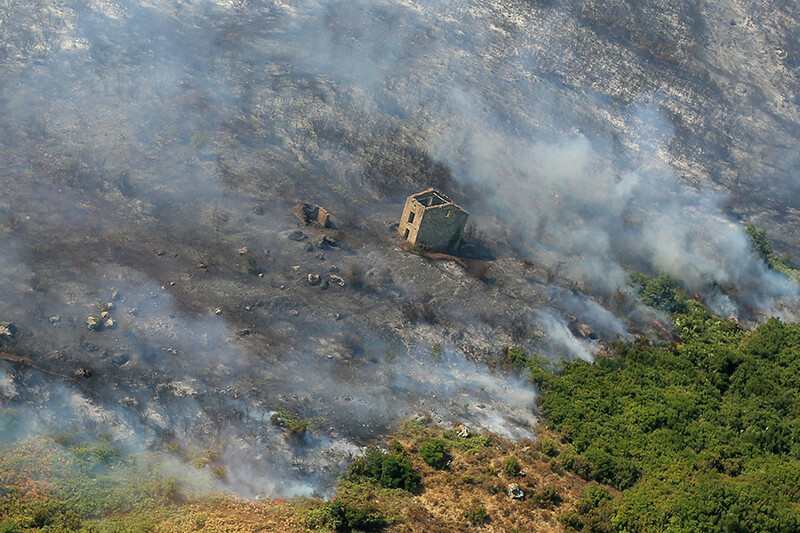 The wildfires affected some 1,800 hectares of forest, authorities in the city of Biguglia in Corsica said.